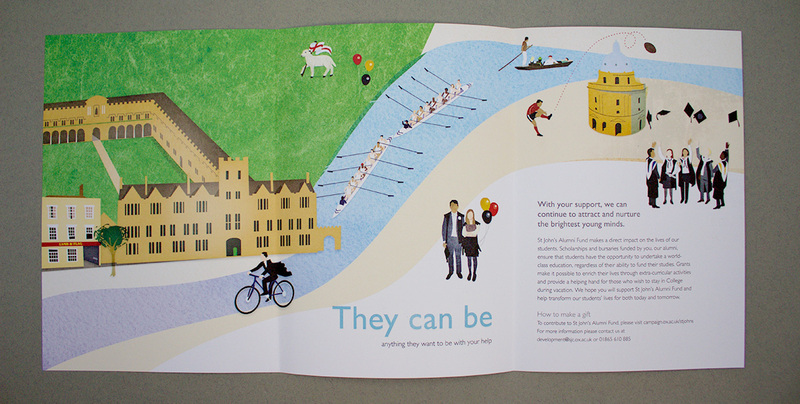 We worked with St John's College to develop a concept including illustration, for their Annual Fund brochure. 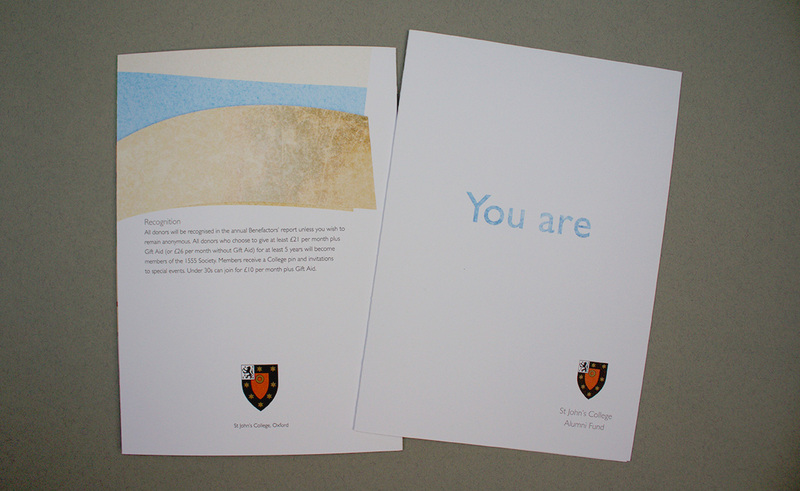 The brief was to show alumni all that their St John's education and experience offered them and thus encourage them to give and support the next generation of St John's students. The cover enticed the audience to open and read on as the text 'You are' cleanly demanded that the reader find out what or who they are. 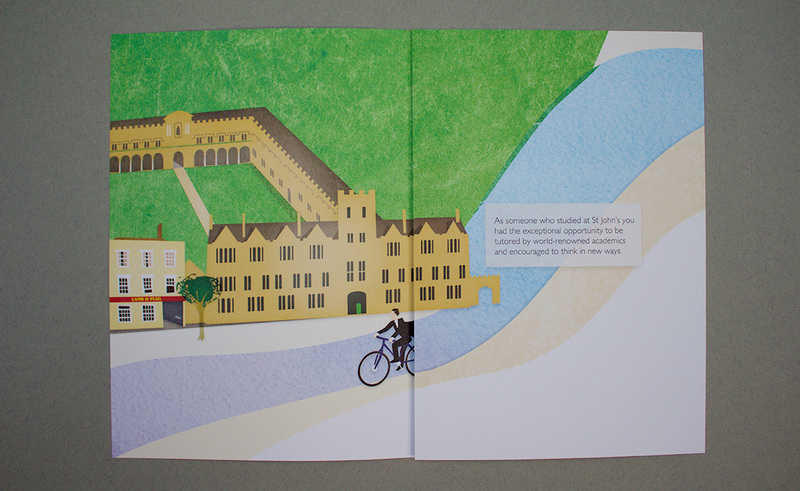 The first spread then reminded alumni what opportunities they enjoyed at St John's, including visual prompts such as St John's architecture and icons, and wider Oxford experiences. The last full spread showed the full picture and the call to action; to support the work of St John's in providing all their students a world-class education.